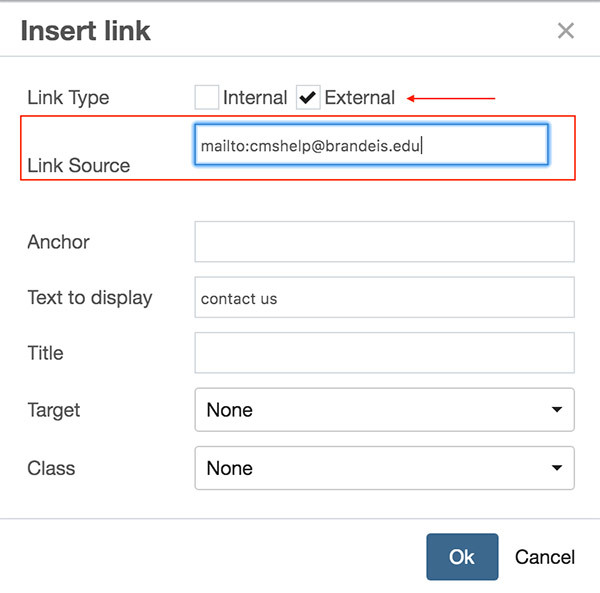 You can create a link to an email address in any Content Type that uses a WYSIWYG editor, including the sidebar. Highlight the email address or words that you want to serve as a link. Click the Link icon on the WYSIWYG toolbar. The Insert/Edit Link window will pop up. Submit the page when you have finished working on it.